This 6-pc. 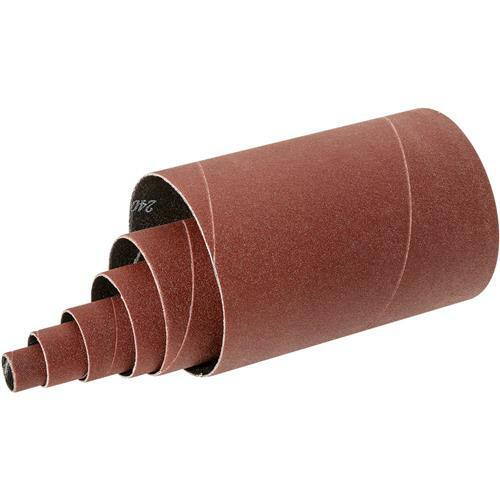 Aluminum Oxide 240 Grit Sanding Sleeve Set is for the G0739 Oscillating Spindle Sander.Sanding sleeve length: 4-1/2"Sanding sleeve diameters: 1/2", 3/4", 1", 1-1/2", 2", 3"
This 6-pc. 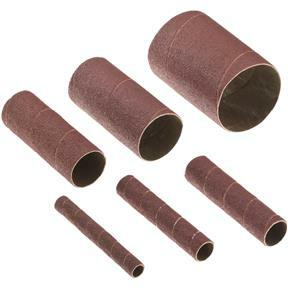 Aluminum Oxide 240 Grit Sanding Sleeve Set is for the G0739 Oscillating Spindle Sander. Sanding sleeve diameters: 1/2", 3/4", 1", 1-1/2", 2", 3"